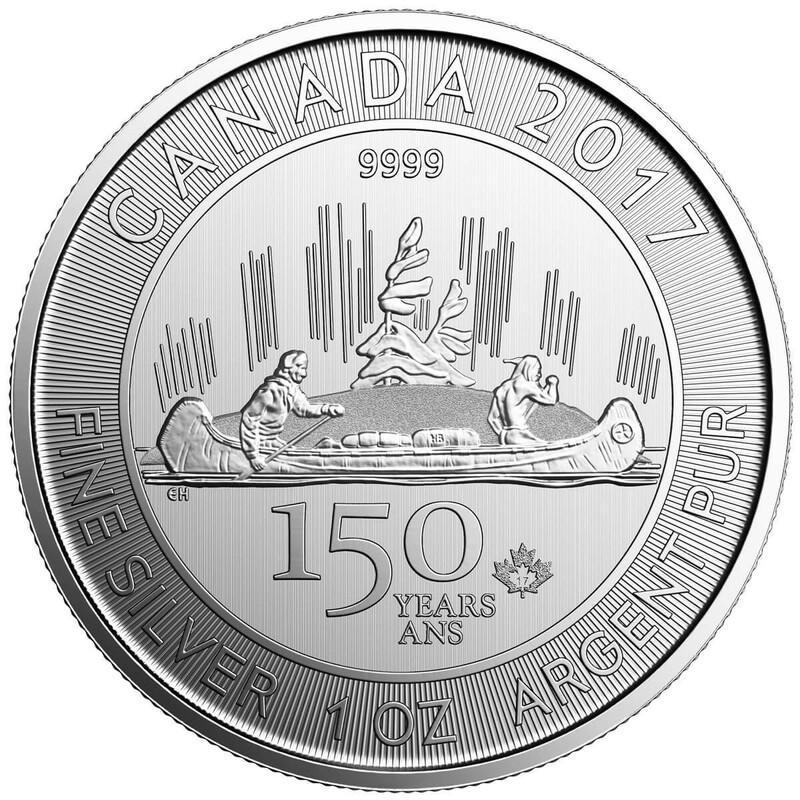 The Royal Canadian Mint celebrates Canada's 150th anniversary by releasing the $5 Silver dollar identical to their very first Silver dollar that was circulated back in 1935. 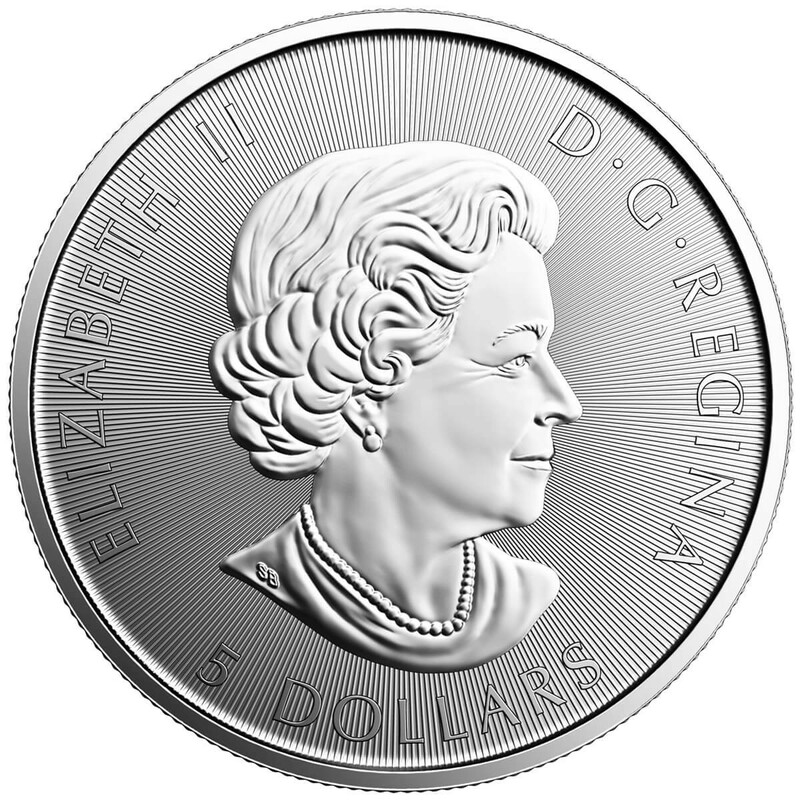 On the obverse, Blunt's design of Her Majesty Queen Elizabeth II is depicted. 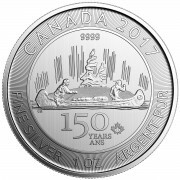 On the reverse, a voyager and a Native American can be seen paddling a canoe filled with fur to tribute the fur trade that was happening at the time. 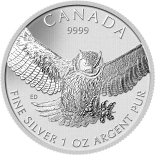 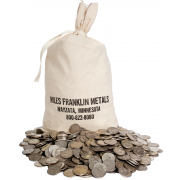 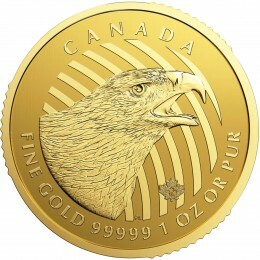 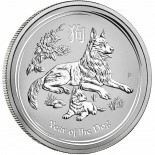 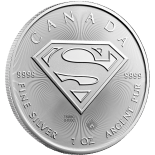 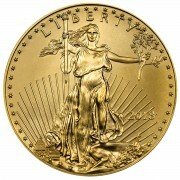 This great coin contains .9999 fine Silver, has a limited mintage of only 250,000 and is IRA eligible.